Almond seeds for sale – Easy plant to grow with edible nut, grown for the ornamental flowers, planting in winter to spring, better to buy plant, grafted tree or another option to start from seeds possible yet more challenging and need to graft. 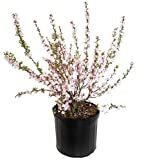 Growing information: perennial plant, growing hardiness zone: 5-10, water needed – small to average amount, light conditions – full sun to partial shade, height: 3-10m, 10-34 feet. Blooming in the spring in saucer shaped flowers that appear in white or pink color. Nuts harvesting in the spring to summer, when harvesting need to be full ready. 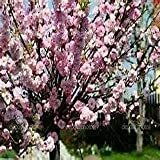 Almond seeds for sale – Is it possible to buy regular Almonds seeds and grow them? Is it recommendable to grow Almond from seeds? Is it difficult to grow Almond from seeds? How to grow Almond from seeds? Almond seeds for sale possible to buy and grow need to check that it’s need to be not roasted with peal, it’s not recommend to start grow from seeds, better to graft the tree, and it’s easy to grow almonds from seeds, growing need to be sow in the early of the spring sow the seeds on 1-2 cm from the top of seeds, need to keep the soil moist, full sun.